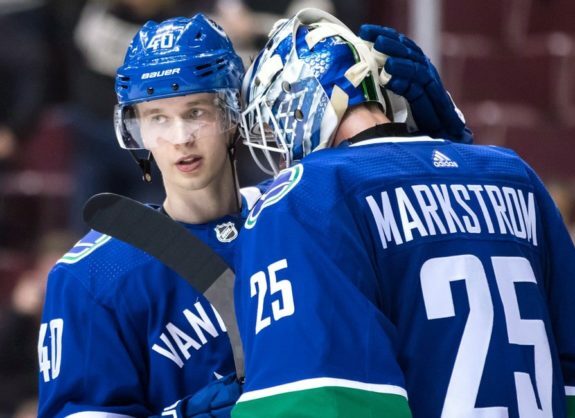 VANCOUVER — Jacob Markstrom’s quiet evolution into an elite NHL goaltender for the Vancouver Canucks hasn’t surprised his teammate Alex Biega. The defenceman had already witnessed the six-foot-six netminder’s ability to stun opponents four years ago when the pair were playing together for the Utica Comets in the American Hockey League. “You could just tell — when teams came into the building, they could tell that he had the capability of robbing the game. Even if we didn’t play well whatsoever, he kept us in it,” Biega said. 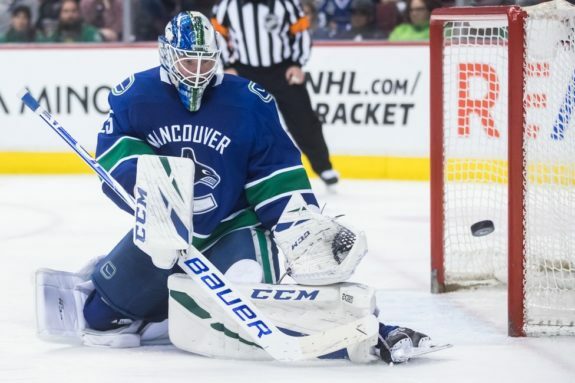 It’s been a lacklustre season for the Canucks but Markstrom has strung together a series of career highlights. 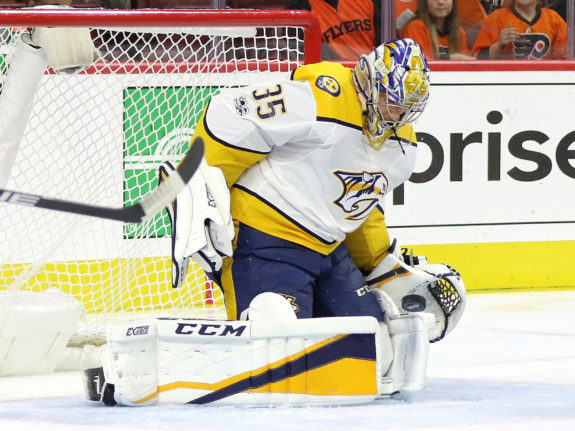 Vancouver (34-35-10) was eliminated from the playoff race on Friday but Markstrom still sits among the league’s top goalies, tallying more wins this season than Matt Murray of the Pittsburgh Penguins and Nashville Predators goaltender Pekka Rinne. “He’s having a really good year. He’s become a really good goalie in the league now. 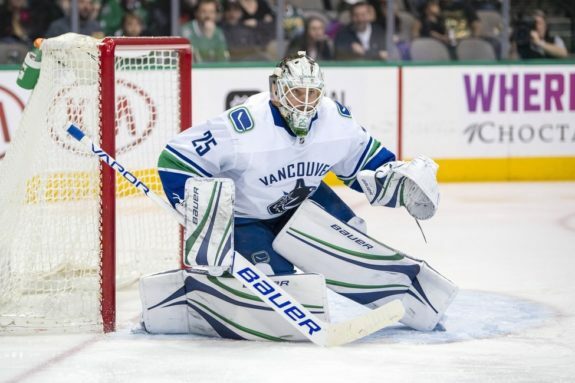 He’s been a big part of a lot of our wins,” Canucks coach Travis Green said Saturday after Markstrom helped the team to a 3-2 shootout victory over the Dallas Stars. Last summer, the Canucks brought in goalie coach Ian Clark to work with Markstrom and the club’s other netminders. One aspect of Markstrom’s game that needed work was his ability to keep pace with what’s happening on the ice, the goalie coach said. 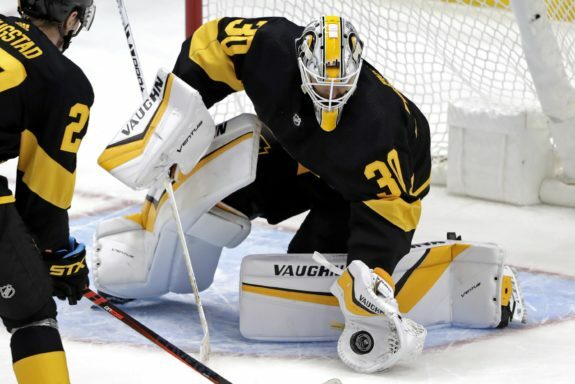 The result is a netminder who consistently appears focused and calm, able to make highlight reel-worthy saves on some of the league’s most skilled shooters. “He’s one guy we can rely on every night to show up. You’ve seen it all year,” said Thatcher Demko, the Canucks backup goalie. 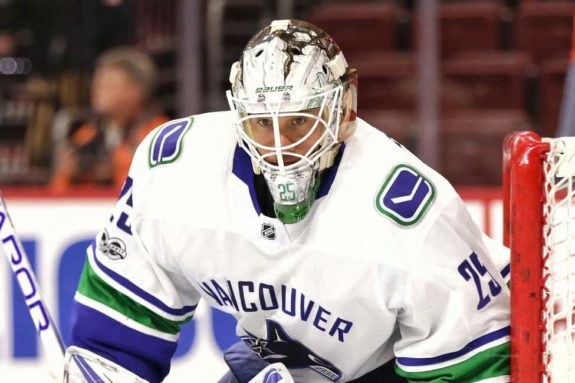 The 23-year-old was called up from the AHL in early January after the Canucks dealt backup Anders Nilsson to the Ottawa Senators, and he’s been soaking up Markstrom’s knowledge and experience ever since. “He’s definitely been a huge resource for me so far and it’s been a great relationship,” Demko said. “I’m sure there’s a lot of guys in this locker room that look up to him,” Biega said. It’s important for goalies to have special connections with their teammates, Clark said. “You always want your goalie to be loved by their teammates. Because they’re going to go to war for you, they’re going to put up a wall in front of you,” he said, adding that Markstrom cares a lot about everyone else in the locker room. 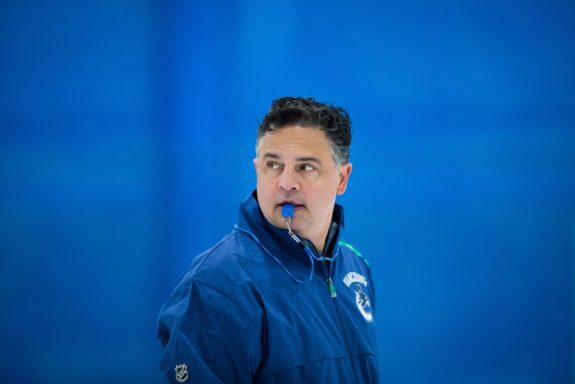 “I had two of the best teachers in Henrik and Daniel (Sedin) when it comes to that. I learned a lot from them,” he said. Despite his success this season, Markstrom isn’t ready to reflect. After all, the Canucks still have three games left. “We’ve got to play 82 games for me to look back and see how the season’s been,” he said on Saturday.